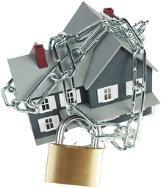 The threat of losing a home through foreclosure can be a frightening and stressful experience for any homeowner. Depending on your situation and intentions ... bankruptcy can offer you many options to help you through this stressfull time. Eliminate your 2nd mortgage & keep your home. 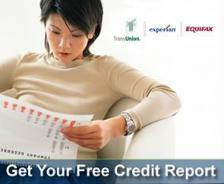 Eliminate your Home Equity line of Credit & keep your home. Save your home & eliminate debts. Buy you more time in your home & eliminate debts. We offer FREE 1 HOUR CONSULTATIONS to go over your situation. There are many variables in bankruptcy and we want to match up your best options to fit your situation. We just want you to know your options before you do anything. Bill Collection calls & letters. The sooner we file your case ... the sooner you are under the protection of the Automatic Stay! DAY 1 ... It's the first of the month, and the mortgage payment is due. The borrower misses the payment. DAY 16-30 ... A late charge is assessed. The company that processes the borrower's payments (called the mortgage servicer) begins to attempt to make contact with the borrower to find out why the payment is late. File is sent to the Collection Department. DAY 45-60 ... The servicer sends a “demand” or “breach” letter to the borrower pointing out that terms of the mortgage have been violated. The borrower is given 30 days to resolve the situation by paying the delinquent amount. DAY 90 ... Notice of Default. Foreclosure proceedings start with a Notice of Default (NOD). The document is recorded at the request of the lender by the trustee and is recorded in the county in which the property is located. The recording of Notice of Default gives “Constructive Notice” to the public. After the recording of the Notice of Default, in the state of California, the borrower and junior lien holders are given proper notification and the borrower has 90 days to bring their account current. This period is referred to as the Reinstatement Period. DAY 180 ... Notice of Trustee Sale. If the borrower does not reinstate their account within the 90 day period, the lender will authorize and instruct the Trustee to record the Notice of Trustee Sale (NOS). DAY 196 ... 5 Business Days Before the Sale Date. Right to Reinstate expires. DAY 201 ... After 21 days of the recording of the NOS, a foreclosure sale can take place at public auction. The property may be sold to a third party bidder or revert back to the lender for a specified amount. Bidders are required to bring cashier's checks or money orders to the sale in an amount equal to or higher than the lenders opening bid. The auctioneer will qualify each bidder and the successful bidder will have to tender full payment at the sale. firestorm! Let us help put out the fire!"